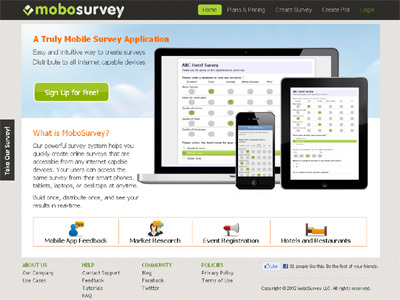 Our website service allow users to create questionnaires (surveys, forms, or polls). The questionaire will be viewable on any internet capable device. We pride ourself in our product’s ease of use. The questionaire will have a native look on any device which makes it intuitive and give the viewers confidence. User-friendly for all parties. Our questionnaires renders on any internet capable device and will look native to the device.